An ideal gift for Christmas, birthday or just to say thanks. You can personalise this coaster with drink of your choice and how they like it! All the details are engraved with an Art Deco style font and borders. Custom made in our Dublin workshop from sustainably sourced Cherry wood. Measures 95mm x 95mm (3.75 inches x 3.75 inches). Additional coasters can be ordered to create a larger set and are €5 each when ordered at the same time. The coaster comes packaged in a branded gift box. 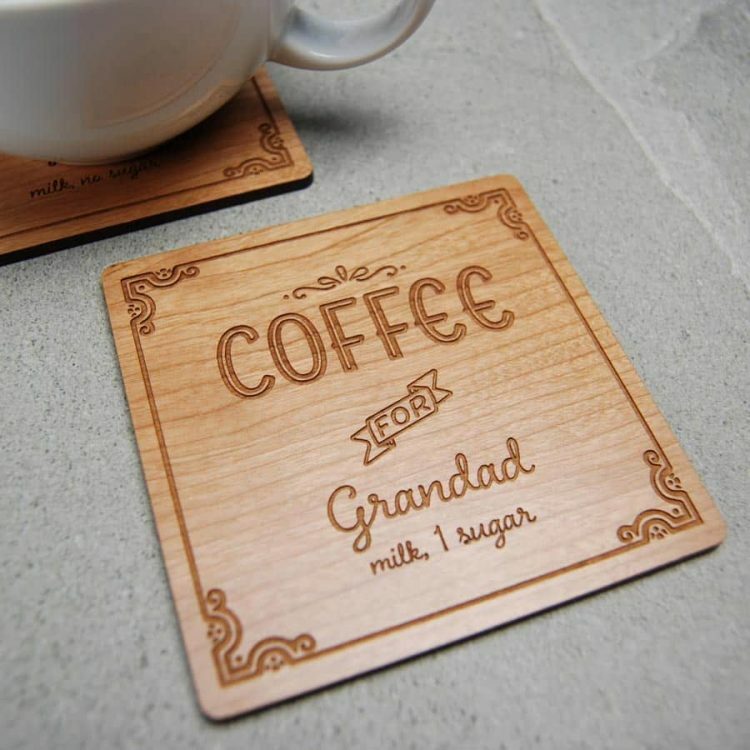 Add the full text for the coaster eg. 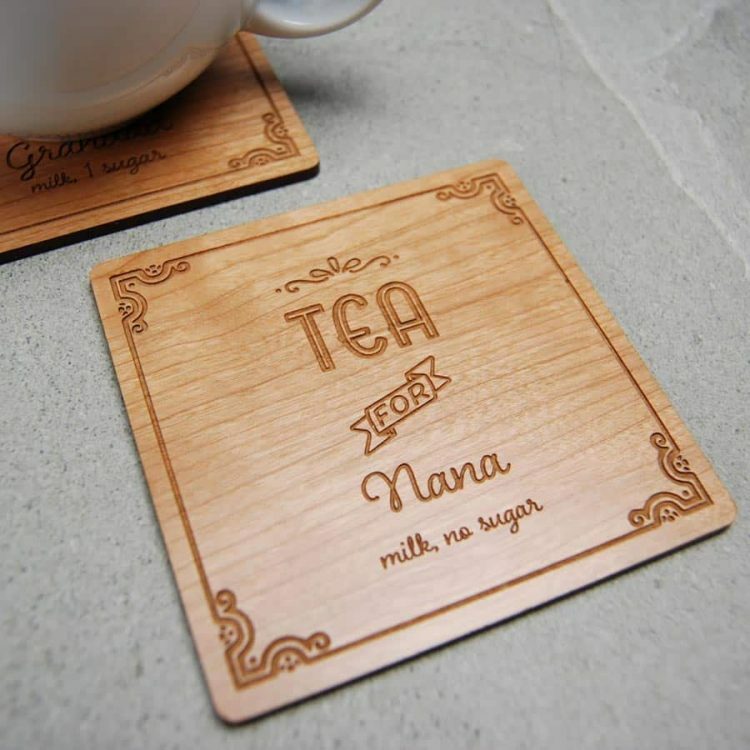 ‘Tea for Nana, milk no sugar’. The text will be laid out as in the product image.